Skilled orthopedist Stephanie Martin, MD, has been providing pediatric orthopedic and sports medicine care since 2000. She has an innate ability to relate to young people and explain their condition and treatment in an easy-to-understand manner. Her patients and their parents give glowing remarks about the care they receive from Dr. Martin. At Performance Orthopaedics & Sports Medicine, Dr. Martin performs thorough assessments of your child to determine whether a congenital, hereditary, or acquired orthopedic condition is present. Because of the complex nature of musculoskeletal development, she carefully considers the level of intervention needed and whether it will require surgery before developing an individualized treatment plan. 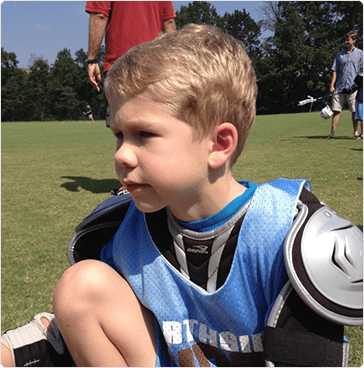 When sports injuries occur in young athletes, parents turn to Dr. Martin, the leading pediatric orthopedic surgeon in metro Atlanta and north Georgia. To repair ligament tears and other sports injuries, Dr. Martin uses the latest surgical techniques that allow for proper development of growing bodies. With her advanced training and expertise in skeletally immature children and adolescents, Dr. Martin’s patients will experience optimum patient outcomes. For your convenience, we provide X-rays and casting with same-day appointments available in our metro Atlanta offices, and we offer rapid scheduling of any necessary MRI or CT scans, as well as referrals to physical or occupational therapy. Trust Dr. Martin to provide all of your child’s orthopedic care needs, from diagnosis to post-operative follow-up. Call (404) 973-2444 or request an appointment online at our Atlanta, Lawrenceville or Snellville office today.